Potion bottle | Potions – Geek Girl Stuff – Geekery, art, jewelry, and more! 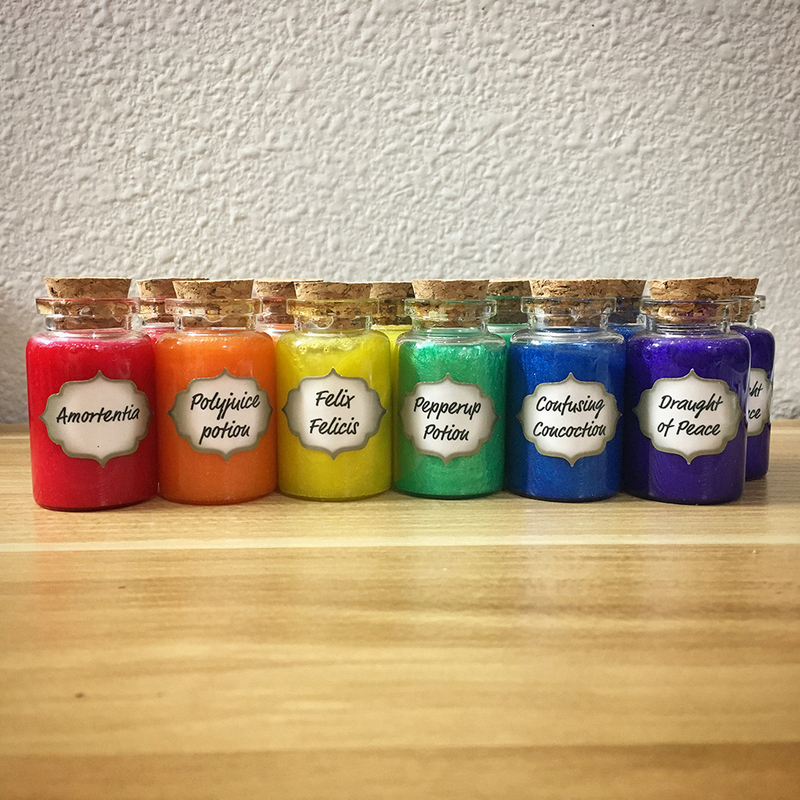 Collectible potions! Perfect accessory for any geeky occasion or to level up your Wizarding career. These are 2" glass bottles filled with 30ml of a special mixture and includes a cork stopper.